To apply for a refund, please send an email to info@emcstandards.co.uk requesting a refund, stating your name, your sales transaction number and your reason for requesting a refund. 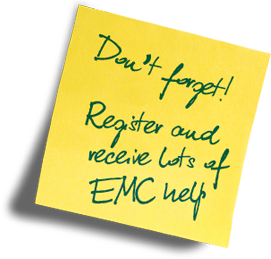 Use of this site is provided by EMC Standards subject to the following Terms and Conditions. 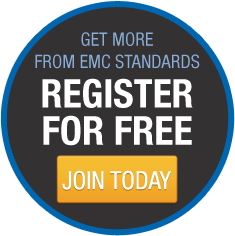 EMC Standards reserves the right to change these Terms and Conditions from time to time by posting changes online. Your continued use of this site after changes are posted constitutes your acceptance of this agreement as modified. This site and the information, names, images, pictures, logos regarding or relating to EMC Standards are provided "as is" without any representation or endorsement made and without warranty of any kind whether express or implied. In no event will EMC Standards be liable for any damages including, without limitation, indirect or consequential damages, or any damages whatsoever arising from the use or in connection with such use or loss of use of the site, whether in contract or in negligence. Whilst EMC Standards endeavours to ensure the information contained in this site is accurate, it does not warrant that it is error free. EMC Standards does not warrant that the functions contained in this site will be uninterrupted or error free, that defects will be corrected, or that this site or the server that makes it available are free of viruses or bugs or represents the full functionality, and reliability of the materials. Commercial use or publication of all or any item displayed is strictly prohibited without prior authorisation from EMC Standards. Nothing contained herein shall be construed as conferring any licence by EMC Standards to use any item displayed. Documents may be copied for personal use only on the condition that copyright and source indications are also copied, no modifications are made and the document is copied entirely. However, some documents and photos have been published on this site with the permission of the relevant copyright owners (who are not EMC Standards). All rights are reserved on these documents and permission to copy them must be requested from the copyright owners (the sources are indicated within these documents/photographs). This site may contain links to other sites, please be aware that EMC Standards is not responsible for the privacy practices of such other sites and takes no responsibility for their content or availability. The information we collect will only be used by EMC Standards. Every time we email you we will give you the chance to refuse any such emails in the future. If you have any questions/comments about privacy, you should email us at EMC Standards.